When Jacqueline Farrell Couldn't Find the Right Book to Read, She Wrote It Herself. I am delighted to welcome my good friend Jacqueline Farrell to my blog this week. Together with Lizzie Gates, Jackie and I make up a mini-chapter of the RNA and meet up once a month at Gladstone's Library in Hawarden. Jackie has turned her hand to various types of novels, but today we're going to concentrate on crones and vampires, to celebrate the release of Sophronia and the Vampire on March 25th. Jackie, welcome! It's lovely to have you here today. Thanks for inviting me and giving me the chance to talk about my new book! For the benefit of anyone who didn't read your blog about Bewitched, let's start with the crone question. What exactly is a crone and what made you choose to make one your heroine? A crone is defined in the dictionary as being a witchlike, cantankerous, withered old woman. The Crone is also the Third Aspect of the Triple Goddess in neo-paganism, symbolising wisdom, experience and death – the other two aspects being the Maiden and the Mother. I love paranormal romances, especially Charlaine Harrris’ Sookie Stackhouse novels and the Twilight series, and was a keen Buffy watcher, but as I approached my fiftieth birthday and with it all the joys of the menopause (!) I began to realise I couldn’t identify with teen/twenty-something heroines anymore. I couldn’t find any paranormal books that had a lead heroine over forty, let alone fifty, so I decided to write one myself. Good for you! 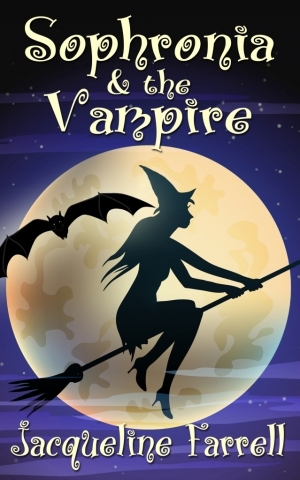 In your book, it's clear that older witches are sought after by vampires. Is this piece of folklore or a piece of poetic licence? This is just poetic licence on my part, but it worked in well with what we know about charges that were laid at the door of old women accused of being witches. They were often accused of suckling their imps or familiars and it occurred to me that this could be linked with the concept of vampires as bloodsuckers. What characteristics does Sophronia possess that have come with age? I don’t know if Sophronia’s traits are all a consequence of age, but she’s quite brisk in her attitudes. She’s fond of Charlie, the young witch she meets at the beginning of the novel, but she doesn’t have much patience with the younger generation. She also has absolutely no respect for Hagen, or at least not the kind he demands from her at the beginning of the novel. That doesn’t blind her to the fact that he belongs to a race of creatures that can kill without blinking an eyelid if the fancy takes them, so she’s not above grovelling if she thinks the occasion demands it. She can be sneaky at times and she knows the value of letting people think she’s a dotty, but harmless old woman, freeing her up to do what she wants. Give us a flavour of what readers can expect. Humour? Romance? Suspense? I enjoy novels that show characters with a sense of humour so it was very important to me that this series of books have that. Sophronia doesn’t take herself or vampires very seriously. Both Sophronia and Hagen are interested romantically in each other, but they have reached the age where it is not the compelling force that it can often seem to be for younger leads. They have other concerns which drive the novel; Sophronia wants to continue the journey across America yet feels a need to stay and help Charlie come to terms with her supernatural abilities, and Hagen is in the middle of a territorial dispute with another vampire and wants his very own crone around to help him achieve that. Hagen is a 2000 year old vampire who revels in his role as vampire lord of his territory. He isn’t evil, but he doesn’t feel guilty about what he is either, which was important to me. Two of my favourite vampires are Angel from Buffy and Nathanial Cade from Chris Farnsworth’s The President’s Vampire series, but they do exasperate me slightly by constantly harping on about how awful they feel at being evil, soulless monsters. In contrast, Spike from Buffy, made me laugh constantly. Tell us how you got together with The Wild Rose Press. I sent the novel off to The Wild Rose Press and got a letter back saying they loved the story and their original reader was very enthusiastic about it. The rest is history! 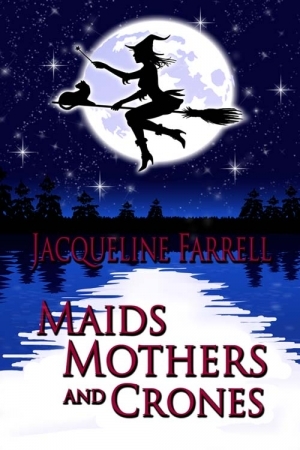 The sequel to Sophronia and the Vampire is called Maids, Mothers and Crones. Does this mean you embarked on Sophronia knowing that one book wouldn't tell the whole tale? And will there be another book after Maids? Yes, I knew that I couldn’t finish Sophronia in just one book and I am, at the moment, working on the third book, called The Scrying Stone. I have also written a short story about Hagen, which takes place in the sixteenth century and it’s available as a free read on my website. Jackie, thanks for joining us today. Very best of luck with your writing. Thanks for your comment, Wendy. Mums claim funny things - mine claimed to know everything. Whatever you asked her, she always came up with an answer. Let's just say she had a vivid imagination. An interesting idea to have an older with as your heroine - it sounds intriguing. When I was a child, my mum always said she was a witch (maybe it's true!). I'm pleased you enjoyed the interview, Jen. Jackie seems to have struck a chord with her older heroine. Another very interesting interview, Susanna. Congratulations on the release of 'Sophronia and the Vampire,' Jackie. I also enjoy reading about older heroines and am pleased the Wild Rose Press supported your vision of your characters and story. Thank you for your comment, Barbara. I agree - it is good to have a mature heroine. Thanks for dropping by. Your book sounds just delightful. I'm happy to see a 'mature' heroine, too! Best of luck with it, Jackie.